Reflorestar Portugal came from the collective dream to empower human communities to enable natural regeneration. After the Portuguese wild fires in 2017, it began to call people for a collaborative event (the first Meeting for the Forests), where representatives from all over Portugal and other countries gathered to create bonds and solutions. 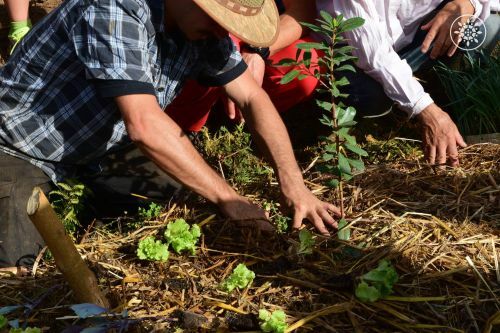 Reflorestar understands that it is a gradual process of gathering tools, techniques, economic resilience, and strengthening network bonds to facilitate conscious environmental development. It set about multiplying the number of regenerators. Its focus at the moment is to create seed banks and a tree nurseries network to enable reforestation projects, while educating and creating educational content to be shared. Sharing experiences, and inspiring, connecting and nurturing people and projects, are key roles it has played on a national level. Its mission is to enhance the human potential to collaborate for the regeneration of planet earth and humanity itself.